There’s something in the air. It’s penetrating our radio and satellite waves, our social media, higher education programs and is influencing our purchasing demands, retail property development, and even our museum gift shops. I’m not speaking of a chemtrail conspiracy, I’m talking about the triumphant invasion of Naturopathy. This paradigm shift has come about largely due to a small number of scientifically illiterate believers with a large amount of political power and an advantage in public relations. Iowa senator Tom Harkin, a main figure on the NIH appropriations committee and defender of woo, slipped a line in the 1992 appropriations bill that created what’s now called the Office of Alternative Medicine and $1M in funding. NCCAM since its inception has funded over $120 million per year in dubious studies of CAM therapies and practitioner training. It has failed to produce any reliable evidence of efficacy in any of its studies to date. Its mission doesn’t care about that though; the Center continues to promote CAM therapies with the façade of government backed credibility. So what’s this got to do with Western Medicine? (A label I detest, by the way). To be sure, I’m not blaming evidence-based doctors for the existence of naturopathy. I once read that that would be like blaming astronomers for the existence of astrology, and I agree. There will always be quacks, and hucksters praying on the gullible, some well-meaning healers who believe their own woo, and some just looking for a fast way to get your money. As frustrating as it is that charlatans still exist in the 21st century, what frustrates me more is how easily they have crept into the “mainstream.” For so long, the general attitude of scientists has been to not lend credence to ridiculous claims by debating them publically. While the basic premise of that sentiment is noble and to be applauded, it has served little good to deflate the various natural movements that continue to grow. Scientists may not like it, but people are listening to the snake oil pushers. Influential people; people who write legislation, people who have popular afternoon talk shows, people who edit major journalistic outlets, and people with teaching degrees. Separating two sides of the same coin: Medicine is Medicine. My first point of contention would be the very label itself. By allowing ourselves to separate naturopathy from “allopathy” (a made-up term used by naturopathic flag bearers to delineate themselves from the “other”), we have already falsely isolated medicine into two equal subtypes. “Western Medicine” is the term used to describe medicine that is created, refined, and regulated in sterile laboratories, and prescribed by people in white coats, found to be effective over the last century or two. “Alternative (Eastern, Complementary, Naturopathic) Medicine” is used to describe medicine long used, but collectively forgotten about in recent times; things found in Nature and available to The People, and remedies that are maintenance focused, anticipatory, and do not bear many harmful side-effects. Can you see already why the visual of the latter is much more romantic and utopian? Aside from the blatant fallacies of appealing to nature, and ancient wisdom, Alternative Medicine also has hijacked the idea that the preventative therapy is unique to its sphere of practice. There’s a marketing problem within Science-Based, and Evidence-Based Medicine, namely that it is not conveyed enough that “Western Medicine” is all-encompassing, as long as the treatment has been shown to succeed. After all, you know what they call Alternative Medicine that works? Medicine. Focusing on patient turn-around instead of patient care. Expanding on the thought that science-based medicine isn’t communicating well with the public, I’d like to address the concern among many patients that the system is just too impersonal. I, like most with Cystic Fibrosis, spend a lot of time as both an inpatient and outpatient in conventional medicine. I love my clinic and everyone on my team, and I believe they do their best to listen to, cooperate with, and serve me as an individual patient; but there is without a doubt a very dehumanizing protocol that is followed throughout the world of industrialized healthcare. It’s hard not to feel like a cog when you go from this station to that line, to this waiting room, to this booth, having your barcode scanned with each procedure, check-in, and medicinal administration. As a “professional patient” who’s been doing this all my life, I’m quite used to it, and rarely even give it a second thought. However, some are accustomed to being treated like the delicate snowflake they are, and I can only imagine how turned off I’d be if I were a relatively healthy individual with rare to moderate need to see a physician being thrown into that fast paced, complex environment that is institutionalized medicine. It really is no wonder so many people envision doctors to be cold, uncaring, money-grabbing, conspirators set on keeping people sick. The CAM industry knows this and has jumped on it as their main promotional lure. Naturopaths listen, they address the whole person, not just physical symptoms; they get to know you, your personal history, and your family’s lifestyle. It all sounds great, and by no means am I implying this shouldn’t be happening in a MD’s office setting. After all, you’re putting your health in their hands, they should know everything. But I don’t think people understand that, generally speaking, good doctors, really do ascertain all the information they need from those brief minutes they’re in the room treating you. 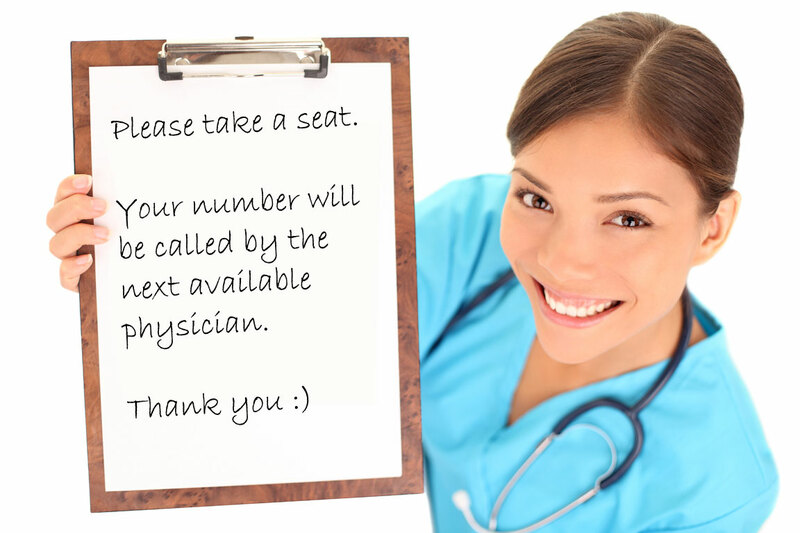 Most of what naturopaths do when they set up hour long personalized appointments, is appeasing the patient’s need to talk, develop a relationship, and let them feel as though they are getting a more thorough health consultation than they’d receive in a clinic. Consequently, science-based doctors are ever more being boxed into evil, tasteless, unsatisfying options for healthcare. Granted, there are horrible doctors, pill pushers with poor bedside manner, zero humility, and often poor decision making. But they don’t represent the vast majority of doctors. I feel that many doctors, being employees of a hospital are sometimes practicing with their hands tied behind their back, figuratively speaking. They care, but have to follow the industry rules for productivity. Unfortunately, scientists and doctors, with their methodological minds, are notoriously lacking in charisma and displays of empathy, traits in which pseudoscientists excel. If only they had a PR team as good as the CAM pushers to once again appeal to the emotions of their patients and regain their trust. Many hospitals around the nation, sympathetic to this problem, have developed departments of Integrated Medicine. Their specialties range from massage and chiropractic to reiki and ayurveda. While I view this as more of a money grab than anything else, it’s especially irritating that in essence, the message these hospitals are sending are that these are legitimate forms of treatment accepted by mainstream science as we create a culture that celebrates well-rounded and open-minded experience. This hurts the fundamental mission of offering the best available treatment to patients whether it is old, new, expensive or cheap. The healthcare industries attempt at showing how progressive and accepting they can be, has led to the degradation of quality information, and what I like to call the death of expertise. Not cracking down on fraud and bad practice has soiled the reputation of good doctors. Therein lies the problem with keeping quiet about people using their title of doctor as a form of exploiting the trust of people in order to sell supplements or alternative therapy; they have effectively created a world where anyone who claims to be a doctor, can with enough charisma, usurp the trust people would give to their personal physician, even when the evidence doesn’t hold up against scientific rigor. The main reason that this is a problem, is not because information is more readily available, it’s that it is largely undisputed by true experts. Measured response is greater than how a treatment makes a patient feel. However, math anxiety is common in many people, and especially the layperson who hasn’t been trained to analyze and interpret complicated datasets. Unfortunately for evidence-based medicine, this makes people trust statistics less than sensational reporting. It’s time for doctors to take back their prestige as experts that earned them that trust in the first place. Shrugging off the implication of people seeking alternative medicine. Regrettably, in many academic circles, even those that were trained strictly in science-based medicine, views on naturopaths or holistic healing are rather lax. Dr. Valerie Jones coined the term “shruggies” for this particular class of doctors, meaning that upon hearing of some quack treatment being used, they simply shrug and ignore it, as they feel it is not really that big of a deal, just some harmless misinformation; certainly it’s not a threat to science based medicine, right? Perhaps they feel like it’s not their place to get involved, or that they are too busy, too esteemed to waste effort fighting back against it. This attitude, though, has immobilized a lot of the would-be activists to prevent naturopathy from getting hold in the mainstream. Furthermore, this approach has essentially given permission for it to continue. Systemic dysfunction at the scholarly level. Additionally, it seems that there are a lot of issues within academia that have eroded the reputation of science-based medicine. One major one, as presented in detail by Dr. Ben Goldacre, is the sort of unfussy regulations that have to do with the registration of studies. You see, there is a great imbalance between positive and negative studies, the emphasis weighted on the former. A study is much more likely to be published if it showed a positive result. After all, why show honest, boring results when you can show exciting results (albeit with slightly fuzzy data)? Realistically, many more trials are done with negative results, but don’t make the publishing cut. As a consequence, doctors looking for information on a certain drug may be misled into believing it is more successful than it actually is. By changing the rules so that all trials must be registered before beginning, and published in an open-access journal, like PLOS-ONE, it would be easier for doctors to research a drug and glean a more accurate picture of its efficacy. The biggest advantage this would yield (though maybe not for drug manufacturers) is that unnecessary prescribing of medicines would be squelched, and thus fewer instances of injury or death caused by or related to pharmaceutical drugs. Similarly, from what I understand of academia today, the pressure to publish is overwhelming. Academic journals are still private businesses, and like a newspaper, they choose what gets printed. You’re really nobody until you’ve had your name printed as an author on a new breakthrough article. If a recent graduate leaves medical school without this minimum accomplishment on his or her resume, it can affect everything from your career eligibility to your salary to your reputation. Unfortunately this forces scientists to behave like journalists, sometimes omitting information or trying to make data fit into their hypothesis. Also, established scientists are often pressured to keep up a certain amount of productivity as far as published research they’ve authored or contributed to. Famed physicist Peter Higgs has been quoted as saying, “I’m not productive enough for today’s scientists.” Of course I have no personal experience, and I may be wrong on this point, but it seems that when there is that kind of pressure on a person’s future, desperation ensues, mistakes are made, and inevitably quality declines. Other issues of concern are the influx of pay-to-publish journals, which can disguise themselves as legitimate sources to a person who is not as familiar with the hierarchy of reputable journals or their impact factors. While this issue in and of itself is not the fault of academic medicine (just capitalism making room for the quick-buck entrepreneur), there still seems to be a real lack of oversight in regards to cracking down on misinformation. 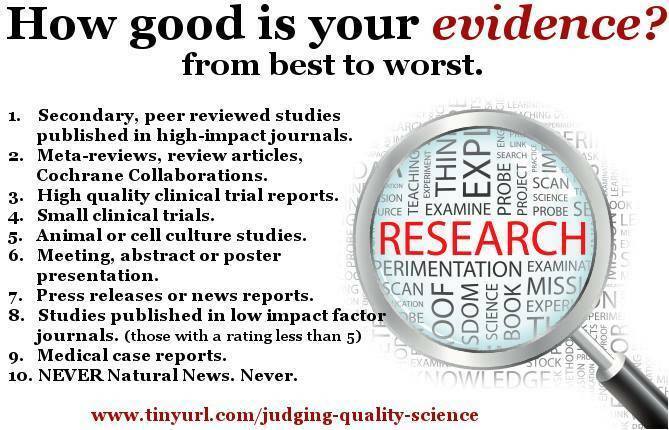 Even within the sphere of the most highly rated journals, junk science has been seeping through unchecked. A couple of MIT students, trying to demonstrate this, designed a program that generates research papers comprised entirely of gibberish from a computer ‘bot’ which they then submitted as a hoax to test the review process. The studies were accepted in 30 different journals and conferences despite claims of oversight. Even their fake author became a widely cited name in academia. So, if it is so easy to have bogus papers accepted, it begs the question, are these reputable journals still a trustworthy source for refuting pseudoscience? When sound methodology becomes less important than interest, quality declines and so does the public trust. Without the public trust, alternatives are there waiting to exploit the opportunity for their turn at the top. Shouldn’t the top be reserved only for that which has the most merit? Until recently, that was ‘Western Medicine’, but over the last few decades, it seems to be slipping from its post, and that is, most of all, why I’m frustrated.